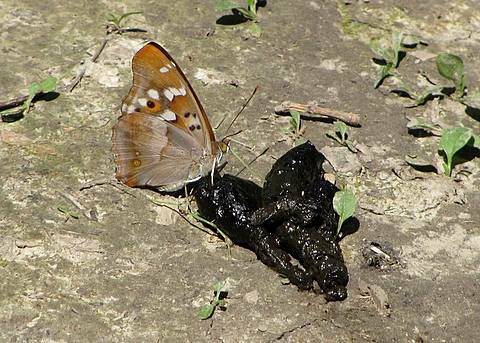 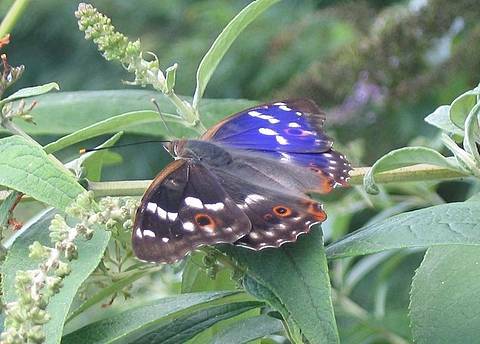 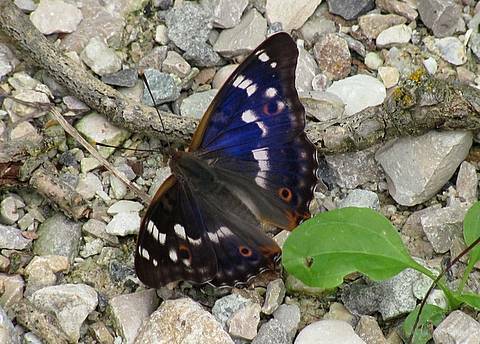 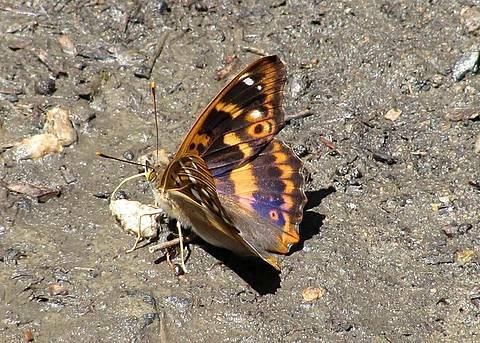 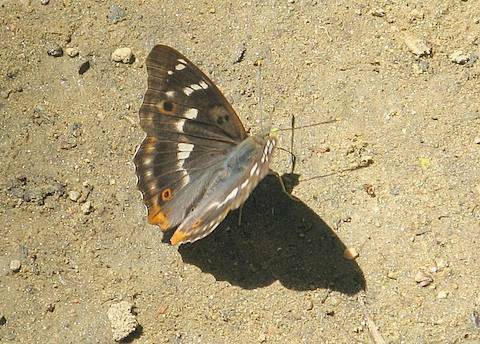 The Lesser Purple Emperor is a superb summer butterfly which is found in mature woodland close to water. 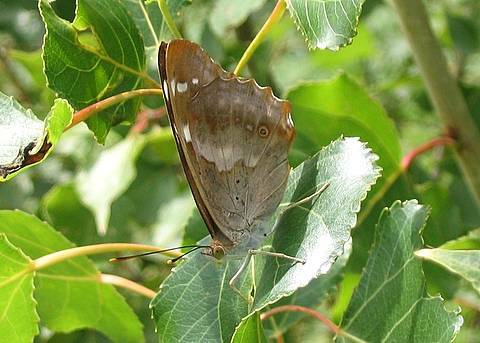 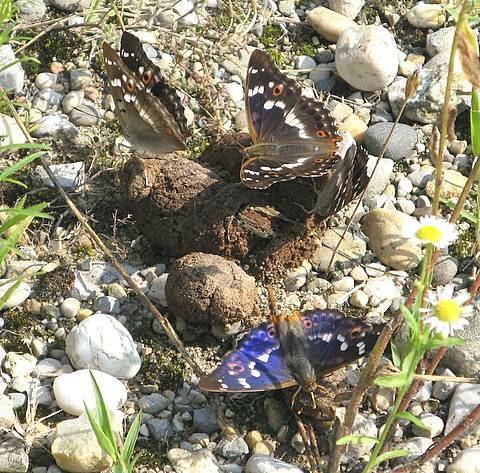 It flies in two broods, contrary to its similar single-brooded cousin the Purple Emperor (Apatura iris) from which it can be distinguished by the presence of the red 'ocellus' on the upper forewing and the lack of a 'tooth' in the white band of the upper hindwing. 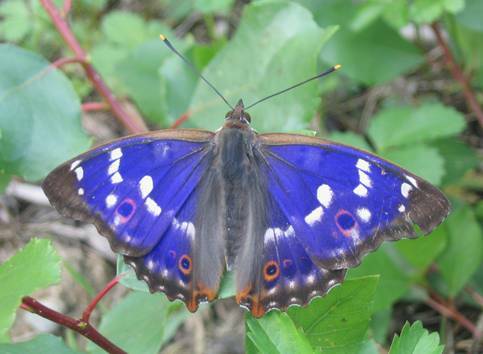 Male emperors have a strong purple sheen on the uppersides which is visible from certain angles and is often observed on one side only. 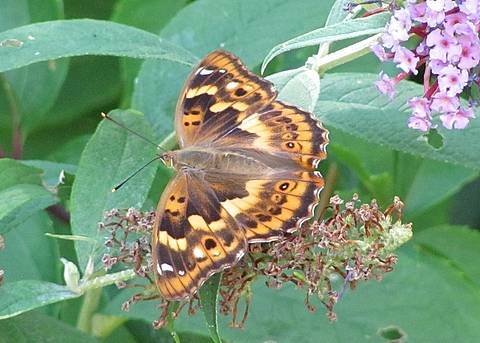 A.ilia also exists in a form called clytie in which the uppersides in particular are transformed into 'yellowness'. 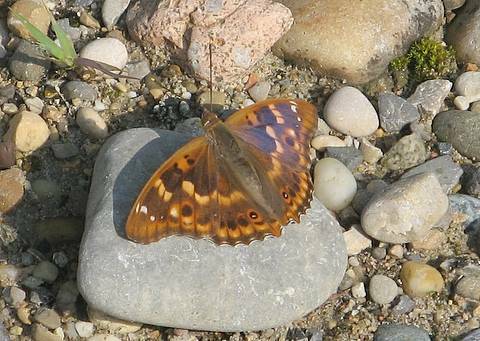 Populations often contain both forms of the butterfly. 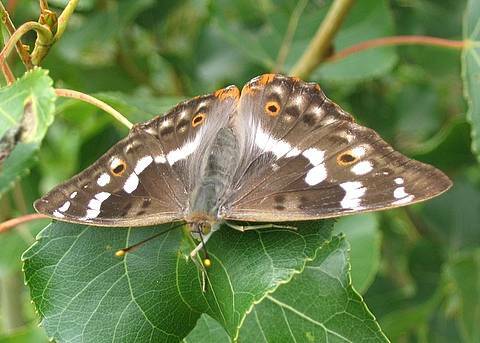 Males spend some of their time perched on the leaves of trees well off the ground defending a territory and at other times they are to be found mineral supping on damp ground in woodland footpaths or even 'enjoying' animal dung. 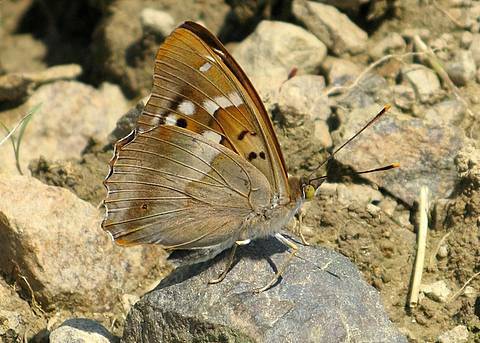 I have observed the species in a few départements of France and generally in low numbers although I have found at least a dozen at a time scattered around sites in the Rhône valley and have even been able to observe a female. 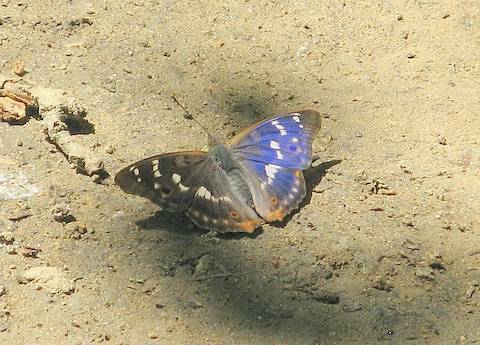 I believe female emperors are rarely encountered as they remain largely hidden in the tree canopy.